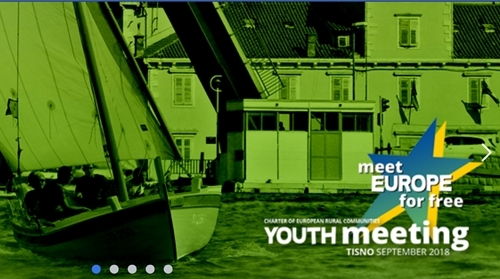 The village is only 12 km from Sopron, at the meeting point of mainroads 84 and 85. Apart from the main roads, our town can be reached by rail, on the Sopron- Szombathely line, operated by GySEV. The number of inhabitants is 1,860. In the past 15 years all the public infrastructures have been built. After several years of planning and negotiating, the outline of a future industrial, commercial and economical park, is to be drawn up, which would give hope and impetus to the district. The town is situated in the valleys of the two creeks, the Ikva and the Arany, which originated from the integration of two villages, Nagy- (earlier Gödör-) Cenk and Kiscenk In recent years, archeologists have excavated Arpadian age dwelling houses, built on a bronze age cemetery, which goes to show, that this area was suitable for human settlements even in ancient times. The name of the community, in the form of Zenk, was first written in 1291 in a latin deed regarding the sale of property. The village was the property of the Nádasdy family from the XVIth century , which was later passed on to the Széchényi family, through György (II. ), in 1711. The centre of the properties became Cenk only during the occupation of Count Ferenc Széchényi, in 1781, when the court of the count moved from Horpács to the castle. Count Ferenc Széchényi offered to his nation an enormous book, map and coin collection concentrated at Cenk, and with that, founded and established the Hungarian National Museum and the National Széchényi Library which bears his name. Count Ferenc Széchényi divided his possesions while still alive, and Cenk has been inherited by István. 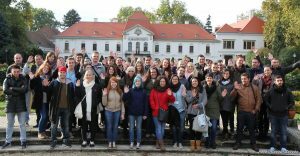 In 1859 Antal Tolnay, the local parish priest turned to Széchenyi because of the collapse of the old, medieval church ceiling, and two months later the count in Döbling welcomed and commissioned Miklós Ybl to carry out the planning of the church. He requested that Ybl would build ’an although quite spacious God’s house, which would exclude all flourishing decorations, and is modest, and had stipulated that the tower should not be built over the entrance but rather at the side of the church. Széchenyi was rushing the completion of the plans but because of his death, he could not see them. The matter of building the church was taken up by his widow and his son. The building process started on the 20th of August 1860 , and the church was dedicated on the 20th of August 1864. Its organ is originated from Vienna, by maestro Ficz, and it has previously been the musical instrument of Theater Kärtnerthor. On the last weekend of September, we celebrate Nagycenk’s Harvest Festival. 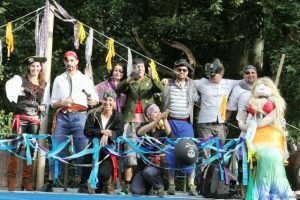 On the two days we are awaiting visitors with sport, cultural and musical programmes, as well as with the harvest procession that became famous around Hungary. The visitors are looked after by three restaurants, hotels, bed and breakfasts and by the villagers who let rooms. Nagycenk is part of the World Heritage list by two of it’s areas. The judges when examining the unity and the harmony of the built up environment found the Széchenyi castle of Nagycenk and the park surrounding it, as well as the linden tree alley and it surroundings which is the connecting link with the Ferto region, suitable for being under the patronage of the World Heritage, as part of the Ferto region World Heritage. Lake Ferto – which boasts the largest dimension of reeds in Hungary , though only a quarter of the lake belongs to Hungary – was declared as a biosphere reservatum by UNESCO, because of its unique natural assets. As it is the continent’s largest salt water lake, it is the most western example of the Eurasian steppe lakes. The park around the Széchenyi- castle, which has also won the world heritage title, is also full of plant specialities. The sycamore maples are over 200 years old, the exotic Californian mamooth fir, and the rest of the different tree specialities brought here from far fetched lands are all sheltering places for birds and other small animals. According to bird specialists one can observe 20-25 different bird species among the trees. The name of our village in the past two centuries became interwoven with that of the Széchenyi family. It was here that count Ferenc Széchenyi, the founder of the Hungatian National Museum and his son, count István Széchenyi, the outstanding politician of the reform era, with the words of Lajos Kossuth ’The greatest Hungarian” lived and are buried . This is the heritage which is kept alive and can be found in our village through the Széchenyi memorials. We welcome you to these places. 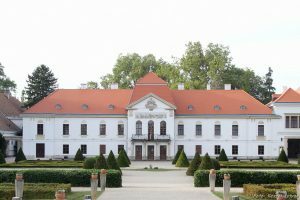 The best way to approach the Széchenyi-castle is through the French gardens, and the wrought iron gates protected by the watch-man’s buildings. Despite it being a low key building decorated by its balcony with toscan columns and the family coat of arms, it is nevertheless one of the most beautiful provincial castles. Room was made here for the collection of the István Széchenyi memorial museum, the largest in the country, which is a monument to the memory of a historical person. In the museum one can follow count István Széchenyi’s life, oeuvre, public and country building activities. Besides the stables one can visit the exhibition of fourwheeled carriages and decorated saddles found in the coachhouse. 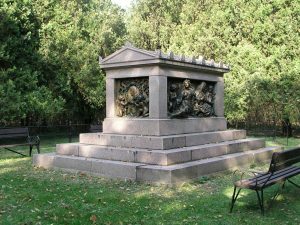 The Széchenyi Mausoleum, that of the Széchenyi-family tomb, which is located in the middle of the village cemetery, is one of the most vistied places in Hungary where the nation can pay tribute and respect. 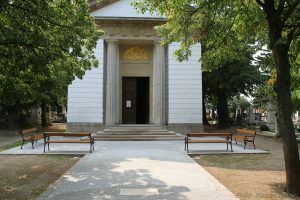 The mausoleum has two parts: the baroque chapel laid out in an oval shape, which was built on the request of Zsuzsanna Barkóczy (Antal Széchényi’s widow) in 1778, at the time of the village cemetery’s opening. 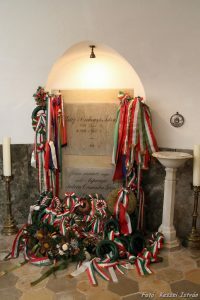 On the left handside in the cript underneath the chapel, behind gravestone with epigraphy, lie the bodies of István Széchenyi and his wife Crestentia Seilern. The other part of the mausoleum is the classicist, oblong shaped vestibule, which between 1806-1810 on the request of Ferenc Széchényi was built by József Ringer , the reconstructor of the castle. In the centre of the Greek front elevation, between two Doric columns, one can find the entrance. In the burial vaults located in a cross shaped foyer underneath the classicist vestibule, there are 47 Széchényi descendant (from the counts family). This is also the place of the Archbishop of Kalocsa, Pál Széchényi’s glass casket, and nearby one can see the iron chest which holds István Széchenyi – showing the bullet hole in his skull. 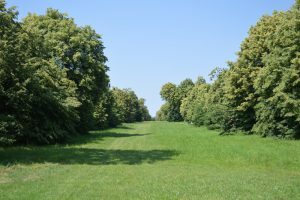 Opposite to the entrance of the castle is where the 20 meter wide, 2,6km long linden tree avenue starts, today that is part of the world heritage. Count Antal Széchényi and his wife Zsuzsanna Barkóczy requested the planting of the dual alley. Originally it was used as a riding alley. Over the period of more than two hundred years, a third of the trees has died. At the time of planting there were 645 small leafed linden trees, today the number is reduced to 461. Their average height is around 16 m. In 1975, with serious financial input, a preservation and reconstruction work has started, registration, trimming, filling (with concrete), rejuvenating, replacing. Today it has become clear, that the above mentioned intervention was not successful. Because of the ever advanced decay in 2002, a drastic trimming process was introduced, but the environmental specialists did not find this solution viable either. We can only hope that with a new technique the life of the lindentree avenue, which is a rarity even in the world heritage list, can continue. 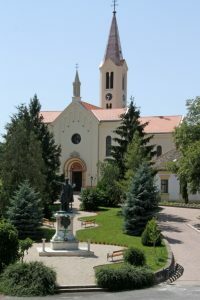 At the bottom of the lindentree line one can visit the beautiful sepulcre of the son of the greatest Hungarian, Béla Széchenyi and his beautiful wife, Hanna Erdődy . Count Béla requested the building of the enourmous sarcophagus made of red granite and embossed with bronze for his wife, who died at the age of 27, while giving birth to their daughter. Count Béla Széchenyi, was buried beside his beloved wife in 1918, after being a widow for 46 years. At the terminal of the Museum train (Kastély vá.) one can visit the open air exhibition of the Transport Museum,, where narrowgaguge railways’ locomotives and trains from the beginning of the 20th Century are exhibited. The showpiece is a monument raised to the memory of István Széchenyi, who played a major role in the Hungarian train development. 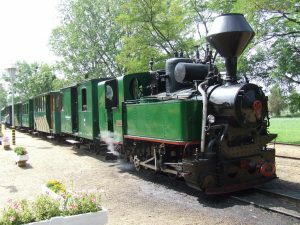 In the vicinity of Nagycenk’s Széchenyi-castle, through the initiative of Győr-Sopron-Ebenfurti Vasút (GYSEV) , in 1972 the Transportation Museum’s 760mm trackgauged steam operated miniature trains, the Széchenyi Museumtrain. The train is operated by GySEV rt. but only children are also on duty on the train. The steam locomotive and train was manufactured at the beginning of the century while the diesel engine bought in 2003 was constructed in 1950. The length of the Museumtrain tracks are only 3600m, yet it gives a pleasant relaxing trip for all age groups.